When winter days turn warmish and dry in the afternoon, many of us like to get outside and do some small thing in the garden. This is the perfect time to begin pruning hardwood trees and shrubs to shape them up for the coming season. Why prune at all? Pruned shrubs have put on new growth and buds by mid-May. This little Crepe Myrtle put on a lot of growth after its June damage in a storm. Now is the time to prune and shape the new growth. Much of the new, twiggy growth needs to go so energy is channeled into growing a new structure for this tree. 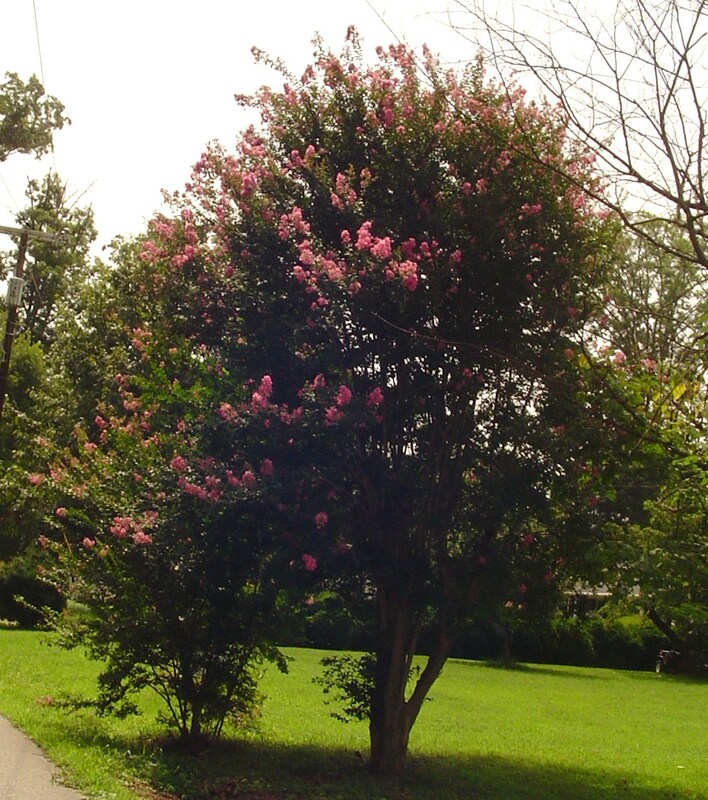 Many small trees, like Crepe Myrtle and Rose of Sharon, produce lots of chaotic, twiggy growth during the summer season. 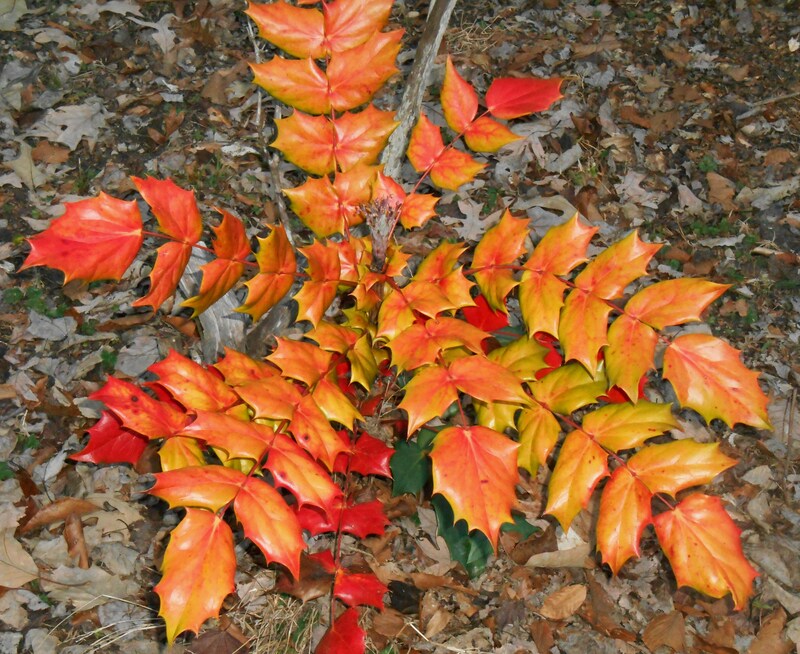 With the leaves gone, we can take a moment to examine each one and determine what to leave and what to prune. Before pruning any flowering shrub, please make sure you know whether it blooms on old wood left from the previous season, or on new wood. Shrubs like Forsythia, Azalea, Hydrangea, and Lilacs set buds for the coming spring blooms during the previous autumn. Any late winter pruning removes the branches set to bloom in the coming spring. A hard pruning will sacrifice that season’s bloom. 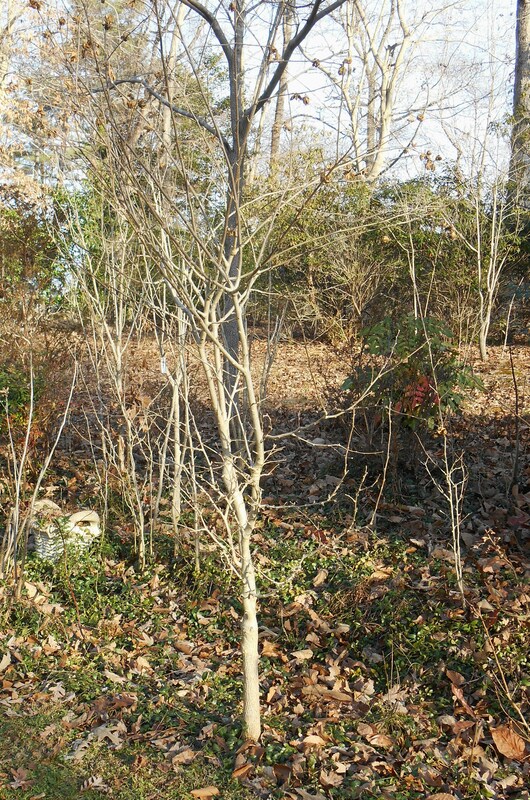 The same Crepe Myrtle, after pruning. 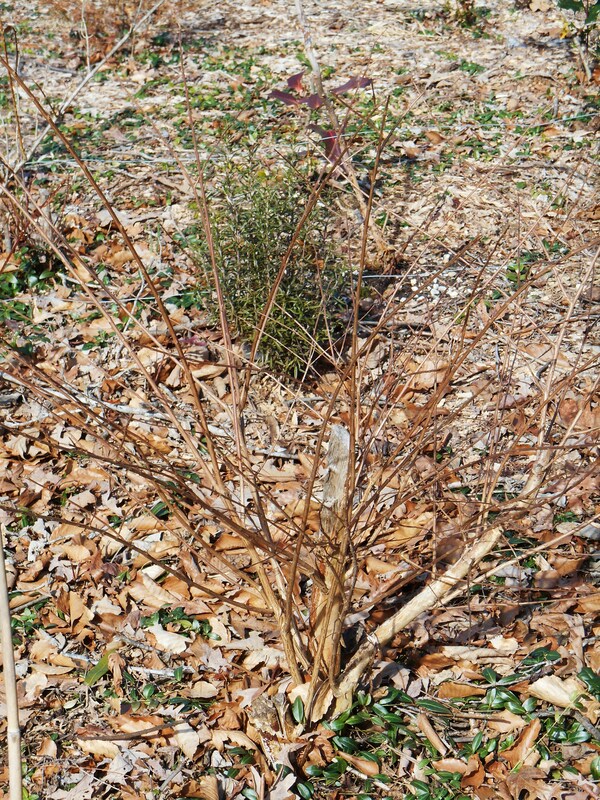 An unpruned shrub is a confusing mass of little twigs and larger branches. Before making the first cut, take a few moments to study the plant. Look for its structure; the main skeleton which gives it shape and form. If you are new to pruning, take photos of the plant and spend some time studying them on your computer before making any pruning cuts. As you examine the plant you’ll begin to see what should be left behind to support the new season’s growth. Size: Is this plant at its mature size? If a plant is still growing into itself, you want to help it develop a strong structural skeleton of branches. Consider whether you want one main trunk with side branches, a main trunk which forks and bushes out into several main branches as it gets taller, or whether you want a clump of main stems which branch out into a large canopy of branches. 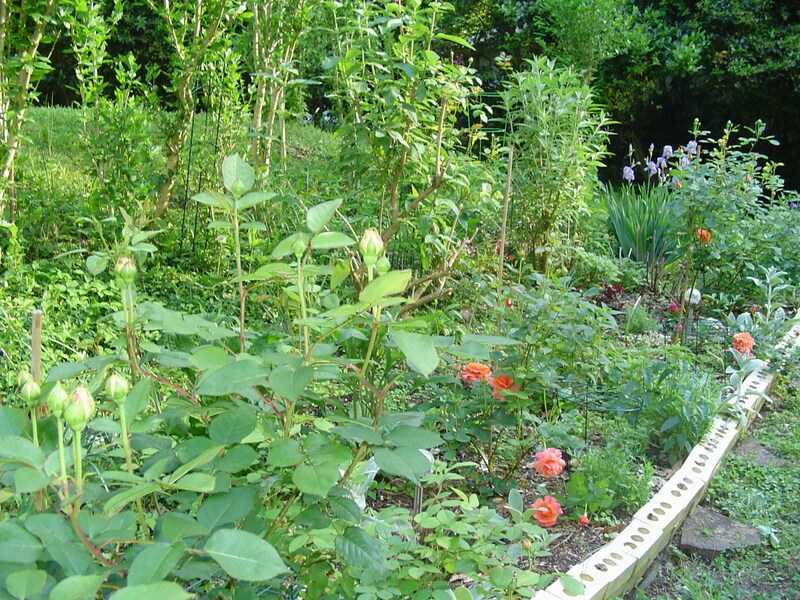 Roses respond to pruning with abundant bloom on new wood. 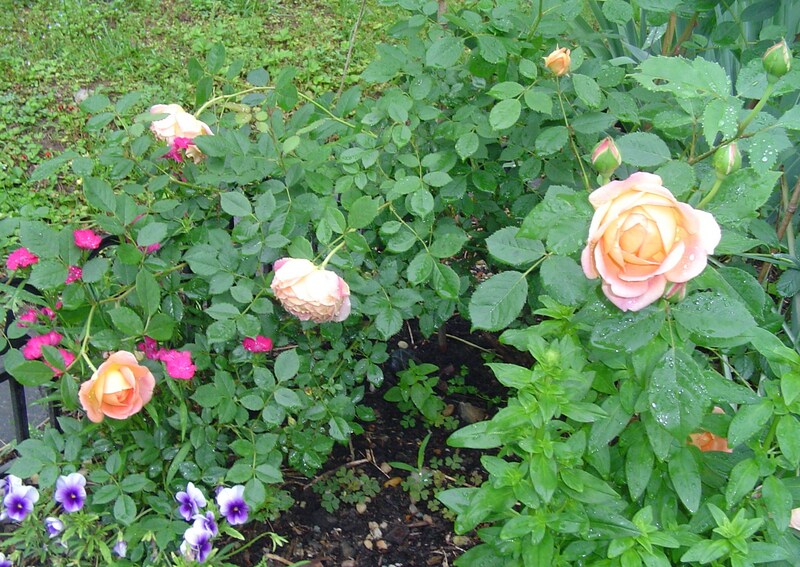 These English shrub roses don’t require the same hard pruning a tea rose requires. Any time you cut the tip off of a branch, you will activate the buds lower on the branch so they grow into new lateral branches. If you cut the tip off of a main vertical stem, two, three, or more new man stems will grow from the buds below that cut in the coming year. A “fork” will develop, multiplying your one main stem into several. The canopy will grow broader. Crepe Myrtle will “sucker” with new vertical growth around the main stem. Remove this new growth to grow a single trunk. Leave only a few strong stems to grow as a clump. If you want to keep a clumping shrub, like Crepe Myrtle, to a single trunk; remove the new smaller vertical growth coming from the base. If you want a ‘ clump”, remove all but the strongest few vertical stems. If grazing deer attack your garden, as they do mine, remember to “limb up” trees as they grow so the lowest limbs are too high for the deer to reach. 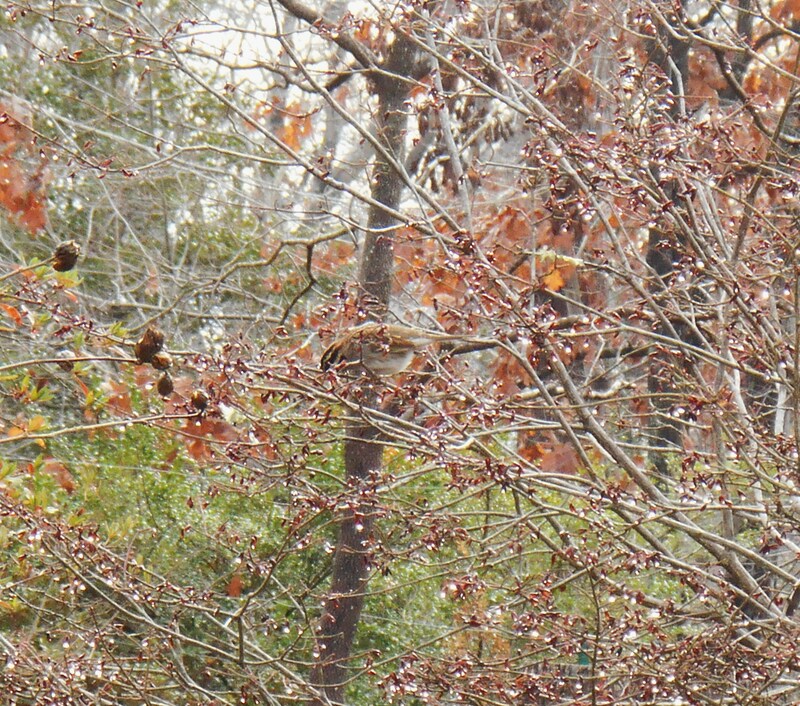 Thin Rose of Sharon, and remove seed heads at the ends of branches any time now through early March. These shrubs bloom on new wood, so light pruning increases the number of blooms. Density: Most shrubs and small trees need light to penetrate through the canopy to the interior of the shrub. Keeping the branch structure somewhat open will increase flowering and improve the plant’s health. Air circulation allows the plant to dry faster after a rain, reducing fungal disease. An open structure allows strong winds to pass right through, limiting damage in storms. Remove branches growing towards the plant’s interior. Keep all lateral branches growing outward towards the periphery. Where branches cross, select one to keep and one to remove. Don’t leave branches touching one another, or crossing in the interior of the shrub. 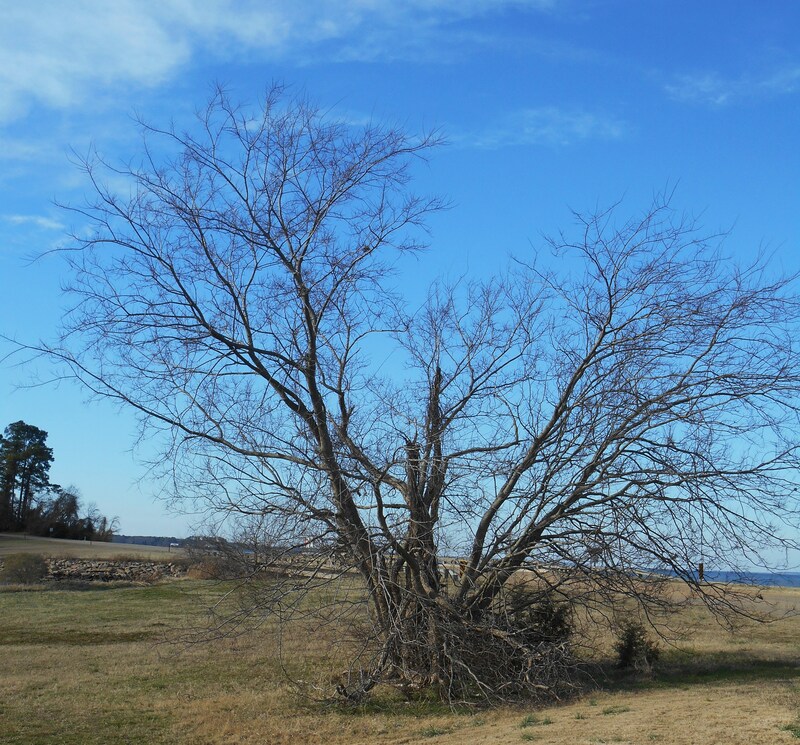 Very old, and damaged trees and shrubs might need heavy pruning. All damage and dead wood should be removed, then the remaining branches thinned. In extreme cases rejuvenate by cutting the tree down to a stump. New growth will come from the stump in most cases. Where many tiny twiggy branches have grown, especially on a vertical stem, remove all but a few strong ones placed where you want new branches. If the shrub is small, and these twiggy branches are close to the ground, you can safely remove them all. Remove up to a third of the wood on most small trees and shrubs. If a shrub must be pruned to keep it smaller than its natural size to fit its spot in the garden, keep in mind that every cut stimulates new growth. Cut the main vertical stems shorter than you want the plant to be by mid-summer, since the pruning cut will stimulate new vertical growth. This Josee Lilac is still young and requires little or no pruning. Its buds are set in autumn and so it should be pruned in early summer after its first bloom. Removing spent blossoms will cause it to rebloom several times during the summer. It is better to remove a branch all the way back to a main stem than it is to “head it back” part way, unless you intend to stimulate new lateral branches. If you prune off the tip, all of the buds below the tip are activated to give new branches. Appearance: Remove any branch or stem which is obviously dead. Cut back any broken or damaged branches to an inch or so below the damage. Remove or head back any branch which ruins the silhouette of the plant, or conflicts with the general lines and shape you have established. “Dead head” seed heads left from last year’s flowers. Remember that when you cut back a branch, you stimulate growth of new wood, and therefore new spots where flowers will emerge. Butterfly bush, Buddleia, blooms on new wood. 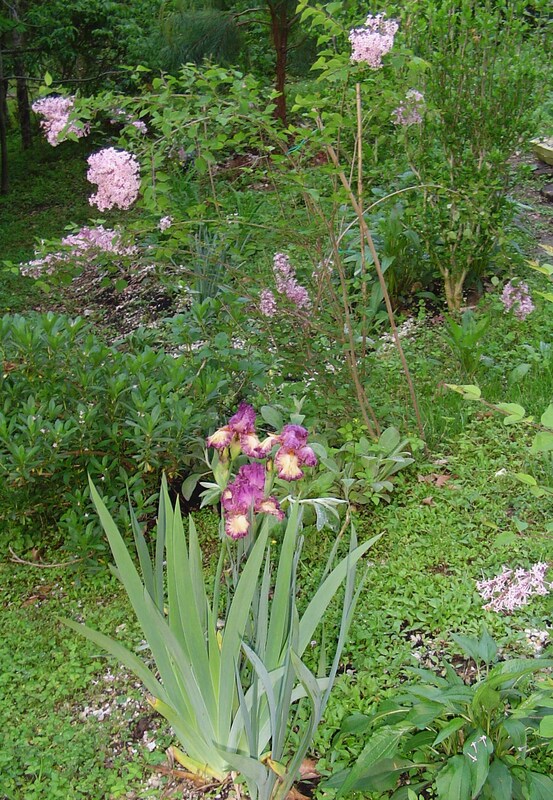 Cut the plants hard, within a foot or two of the ground, to control the shrub’s size and get abundant bloom. This shrub will continue to bloom until frost if you cut the dead flowers away throughout the summer. A fine point: Examine a branch before making the pruning cut. Notice the tiny buds along the branch. Choose the bud you want to stimulate to grow and make the pruning cut just above it. Notice three new stems are left in addition to the original trunk of this Crepe Myrtle tree, cut off when the tree was crushed in June. I could remove all of these, but left them to form a clump to eventually hide the damage. Notice how little wood is left after pruning. All of the plant’s energy will pour into these branches in spring, and the tree will grow by several feet in the coming season. Notice the buds are positioned all around the circumference of the branch. Some point inwards, others outwards. Choose a bud growing in the direction you wish the dominant new branch to grow, and cut just above this bud. Make a diagonal, angled cut just a millimeter or so above the chosen bud. Your newly pruned plant will look very clean and open when you are finished. Remember this is just the plant’s skeleton. Spring will clothe these branches not only in leaves, but also in new wood. The shrub will fill out very quickly through spring and early summer. Vigorous new growth is a hormonal response to pruning. A pruned plant will actually grow larger and more vigorous in the following season. 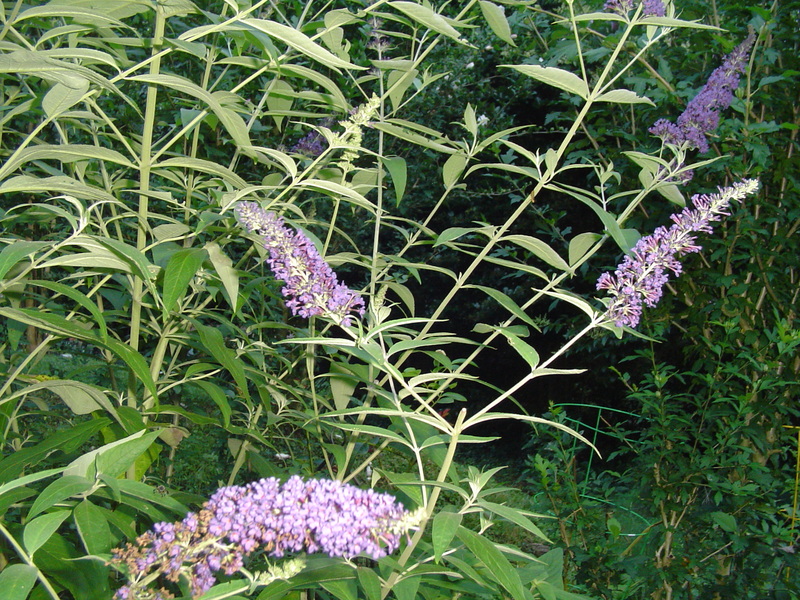 Some shrubs, such as Butterfly Bush, want to be cut back nearly to the ground. Use heavy pruners or a small saw to cut the entire plant back to only a foot or two tall. 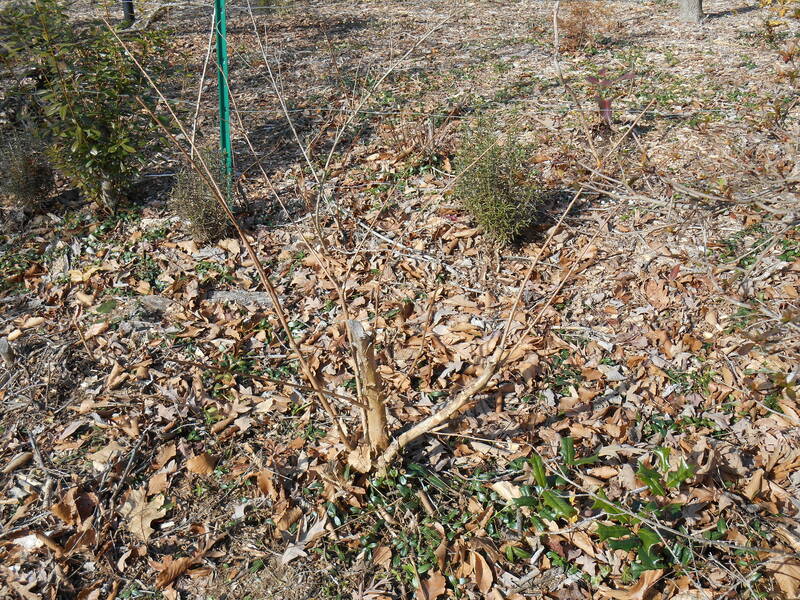 This is called “coppicing,” and this form of pruning is used to rejuvenate many species of shrub and tree. New growth from the remaining trunk will be fresh and vigorous. Butterfly Bush often grows too large for its space, and flower production declines when it is left unpruned or is pruned too lightly. Do this in late winter, but after the worst of the freezing weather is over. Forsythia buds were set by late autumn. Winter pruning removes the spring flowers. If you must trim a Forsythia back in winter, save the branches to force blooms inside in a vase of water. English shrub roses shouldn’t be pruned so hard. Shaping, removing dead or damaged wood and crossed branches are all that is required. An old, thick rose may be rejuvenated by pruning up to a third of the older stems back to just above the bud union. Younger plants don’t require such drastic treatment. 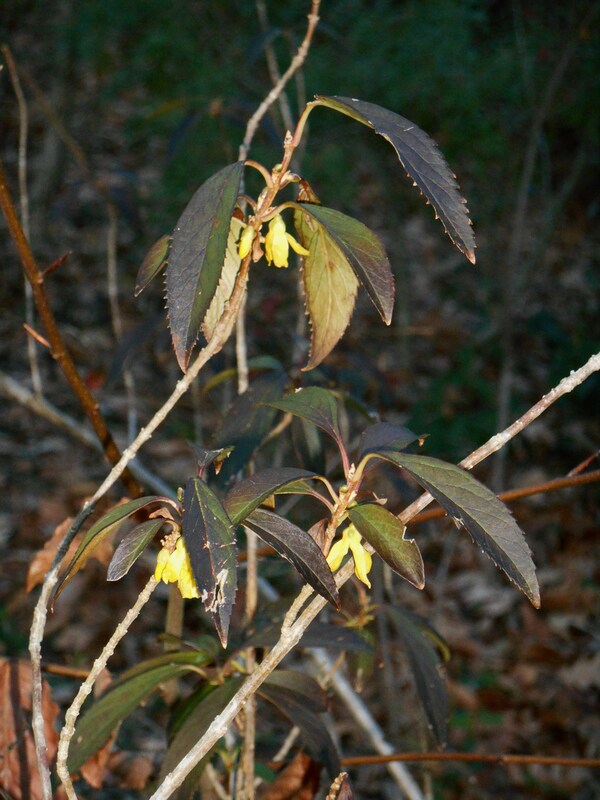 Spring blooming shrubs, like Forsythia, should be pruned in late spring, after they bloom. If you do tidy up a Forsythia with light pruning in late winter, bring the pruned branches inside in a vase of water and enjoy them indoors as cut flowers. I’ve had these forced branches eventually form roots, and have planted them outside where they grew into new shrubs. All woody spring blooming shrubs can be forced to bloom early indoors in this way. If you have fruit trees to prune, you might want to bring some of the branches indoors, in a vase of water, to enjoy their early blossoms. 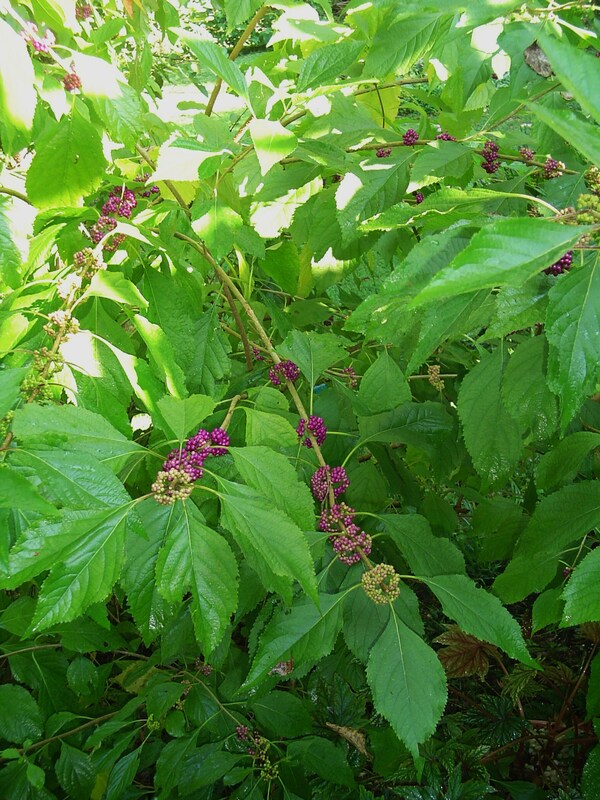 Beauty Berry responds well when it is pruned hard in winter with abundant summer growth and flowers, followed by autumn berries. Tools: There are many brands and styles of hand pruners on the market. Choose pruners which feel comfortable in your hand, have a sharp blade, and are sturdy enough to trim the shrubs you need to prune. Keep the pruners cleaned by disinfecting the blade from time to time, and keep them sharp. Ragged or torn cuts allow disease to enter a stem. Make sure your pruners make clean, sharp cuts. Use loppers or a pruning saw for larger branches. Gather your cut branches on a tarp on in a large bag and remove them from the garden. There are many traditional uses for larger branches. Some may be used to build trellises, small fences, stakes, or may be used in building a raised bed. 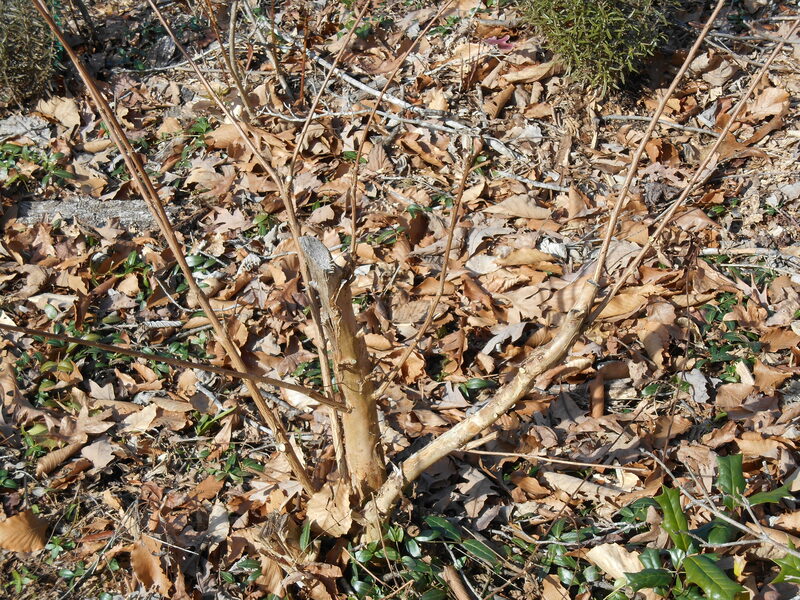 Grape Mahonia shrubs need no pruning at all. Their winter flowers will open sometime in the next month. These shrubs remain compact and neat. Use or dispose of all your trimmings. Just leaving them lying about on the ground encourages disease and insects. Pruning can be done a little at a time over the next two months in Zone 7b. Further north, it pays to wait until February or March so plants aren’t stimulated to grow too soon. Further south, pruning is an ongoing task in the garden. Winter allows us to see the bones of our gardens, and the structure of our plants. It is a good time to shape, refine, and lay the ground work for the garden we will enjoy this coming spring. 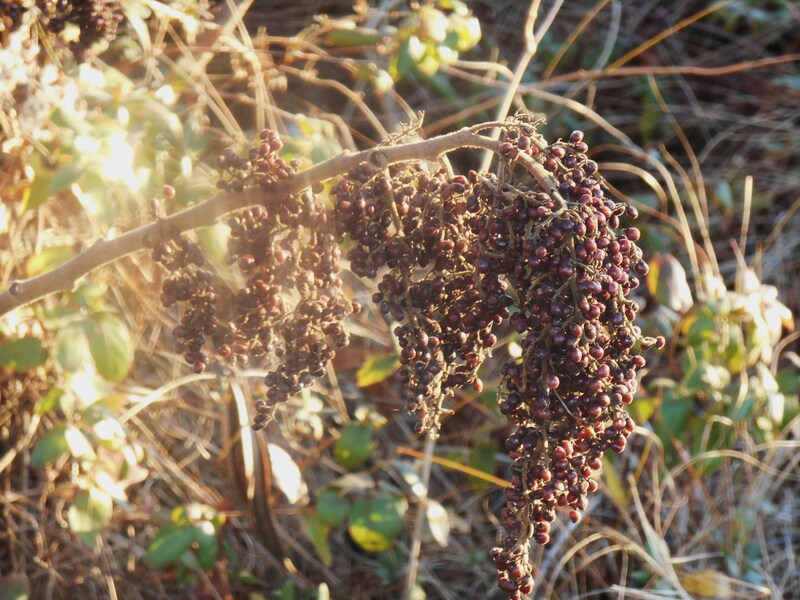 Sumac berries are still an important food source for wildlife. However, cut away the old to make way for new growth by early spring.